Hello Naked Scientists, I love your show. I only recently discovered your series and from my first introduction, was immediately impressed with the high-quality of production, depth of knowledge, and over all fun everyone put into each episode. I immediately download the entire catalogue on iTunes. I think you are all brilliant. Also, I have some pathology & physics related questions to ask. 1. 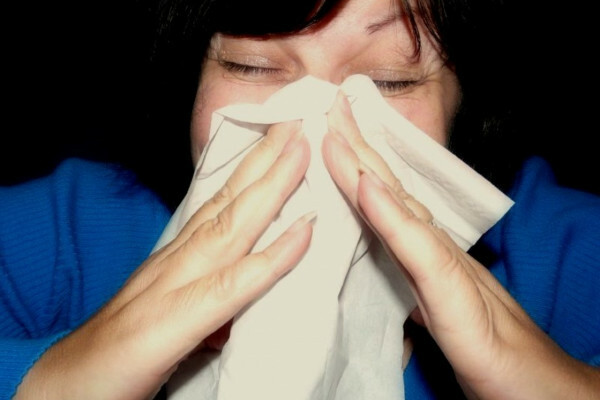 Which releases more germs: a cough or a sneeze, assuming it is into the open air and uncovered? 2. If sneezing can sometimes be associated with the flu and coughs sometimes with tuberculosis, is it easy to say which of the two, in general, is worse (i.e. more contagious)? 3. If someone sneezes or coughs into the air, what is the rate of diffusion for those nasty germs as a measure of time versus distance? Example: If i'm riding on a crowded bus and someone sneezes/coughs, how much how much distance should i put between me and that person so as to reduce my chance of catching their germs. How much time would it take for that sneeze/cough to dissipate through the air as to negate the chance of infection? I should qualify that I grew up in the US where it is a cultural norm to cover your sneezes/coughs, but am now working in China where I have noticed it is not a generally accepted practice to cover sneezes/coughs. I'm not making a cultural judgement on the people here. I'm just really curious about the pathological effects. An interesting question actually! This will all be connected with how far the particles that you sneeze or cough out can travel. So it would be interesting to take measurements of your average cough and your average sneeze. They're both very similar processes, but they come from different irritation in different parts of the respiratory system. A sneeze is an irritation of your nasal mucosa, the skin in your nose, and that causes an explosive expulsion of air to basically protect your airway. If there's something irritating that you want to get rid of it, your body reflexes to get rid of it, similar with a cough that comes from the airways inside, so that's your lungs expelling that air. I would say probably a sneeze because that's a more sort of explosive expulsion generally, but it will also depend on what disease particles are carried and whether they're airborne because if you're talking about something like tuberculosis which is airborne viral particle then that's extremely contagious. Whether you're coughing or sneezing, you wouldn't want to be anywhere near that! Previous Does light need a medium in order to travel? Next Why would someone have a constantly wet head?